In reviews of previous season of this show it’s been made clear that the show still holds up, the islands of Hawaii add to the wonderful look of the show and that the camaraderie really seems to work. This is all still true in season seven. But having watched 7 of the 12 seasons now Ihave really noticed something else as well. The story lines seem to be ahead of their time. Corruption, international incidents, thrill killers, elaborate robberies, the cases are not simple murder and search for the killer sludge permeating so many shows of the time. The cops are working the case, utilizing computers, forensics and all the tools available to them, most of which are standard now, but ignored by television in the early seventies. So much like the previous reviews stated, I still love this show. I think my favorite of season seven was How To Steal A Masterpiece, an episode which involved an elaborate art heist. It’s a good thing these writers were getting paid by the show, because I think they could have plotted crimes and pulled them off. There is buzz about a possible remake in the works. There was one a few years ago which never went anywhere with Gary Busey. All I can say is, who ever thinks they can take this on and revamp it has some really big boots to fill. 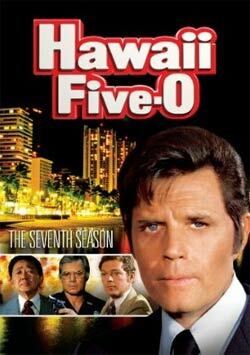 Order season seven of HAWAII FIVE-O.